My first post listed out the first 5 financial milestones to achieve while in your 20s and 30s. This post lists the remaining 5 financial milestones. The inspiration behind this post was when I came across a post by the Investor Junkie. Buying your first car – Major financial fail on my part to this day. Ever since graduating from college, I have leased all my cars including the incredibly money moron moment of leasing an Infiniti G coupe at an equivalent of a 12% interest rate after having defaulted on my loans several years out of college. I have since downgraded my car choice, but I continue to lease. Just a few years ago, my mindset was that I would always have a car payment for the rest of my life and I would be fine with it. Fast forward to now and wow has my mindset changed 180. 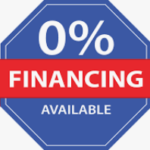 As soon as my current lease car is up, I will be purchasing the car I am in now because of the expected super low mileage and low residual value. I am like an expert in leasing cars. Buying your first home – One of my goals by end of 2018 is to buy my first single family home to either flip or to use as a rental property (exit strategy). 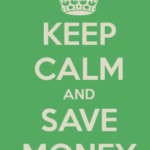 I have an emergency fund set aside, which I will be decreasing from saving too many months worth to around 2 months. The rest of the fund will be used to put a 10% down payment on my first home purchase and to pay off a chunk of my student loan debt. In the past 3 months, I have had about a dozen buy offers rejected because I am buying to invest (flip or rental). I need to be careful not to overpay to have enough room for profit or positive cash flow if renting out. My ideal property must be livable and cannot be a complete rehab of a house. I will be living in the property for at least one year and making modifications during the year to eventually flip. Paying off your credit card debt – Ever since my 20s in which I eventually defaulted on both my credit card debt and student loan debt, I paid the price for years and years. It took me 10+ years to recover from a 500s credit score to break the 700 barrier. I still accumulate credit card debt, but I pay off the balance every month. Overcoming a financial crisis – I am hooping to build a large financial crisis fund so that when the market is on sale, I am buying as much as possible. Paying off student loan debt – I am motivated to pay off my student loan debt. I defaulted on my student loan debt in my 20s and paid for it. I am still paying for that huge financial mistake to this day. 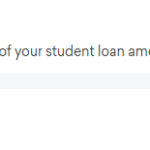 Although my credit score has since rebounded from my 20s, the wealth I could be accumulating has slowed down dramatically because of my student loan debt.